Hedge End police station front office will be closed to members of the public from this Friday March 16 as Hampshire Constabulary “implements new ways for residents to interact with the force in the future”. In future say, Hampshire Constabulary, “residents can phone 101 from the convenience of their own home” – at a cost of 15p per call. The 101 number can be used for all non-emergency police matters such as reporting a crime, obtaining advice and information, or finding out about beat surgeries or other police events in their area and is available 24 hours a day, seven days a week. 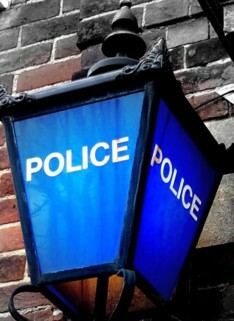 Residents will also be able to use the number to arrange a visit by an officer at a mutually convenient time and place. For those matters that cannot be dealt with over the phone, such as producing documents or lost property, alternative front offices are located at Southampton Central, Bitterne, Eastleigh, and Totton police stations. To find out how to contact their local Safer Neighbourhoods team via email, or the time and place of the next beat surgery or community meeting, residents can either phone 101 or type in their post code on www.hampshire.police.uk or www.police.uk. Press release gets top marks for the positive spin! This closure has been mentioned at several Council/Committee meetings recently. Hedge End nick isn’t going to close completely. It is just the front desk that is closing, to save the cost of employing somebody to man it. Local Officers and their vehicles will still be based at Hedge End nick and they will be working directly from there. My understanding, from a Police report given at a recent Full Council meeting, is that there will also be some sort of intercom/buzzer thingummy on the front door, which can be used to summon help from inside the station in an emergency. It is the Police Authorities cuts that have necessitated this closure, not the Councils. Local Councillors have consistently been opposed to the closure, but they have no choice but to accept the Police Authorities decision. Perhaps the election of a Police Commissioner later this year, will provide an opportunity to try to overturn this closure…? So residents can twitter the police. I must tell my old mum who was the victim of a conman recently that she could have twittered the event. Unfortunately, she, and many other elderly people…. dont do twitter let alone have a mobile phone. She probably wouldnt like to make an appointment for a crime at home to coincide with the openng hours of the local police station. So far from implementing new ways for the public to interact with the police, you have to ask, what ever happened to good old fashioned policing! Answers should now be via twitter please!!!!…. Is too unwieldy, sometimes people have to read beyond the headline. BTW The press release almost suggests this was by public demand! Personally I would be very interested to know how ‘in depth’ the review (referred to above) was. Were residents of Hedge End approached and asked their views? If so, which residents – I certainly wasn’t. I would have thought most local people would like to have an accessible Police Station that was open reasonable hours with staff on hand. As Hedge End is officially a ‘Town’ – should it not have a fully working Police Station? Perhaps it should be like the Library and volunteers should be asked to run it!